Welcome to KosherFail. This site will show you hilarious kosher snafu's as well as ironic kosher products. Stay tuned. Last time I checked, it was Moses in the Exodus story. The "J" had nothing to do with it. 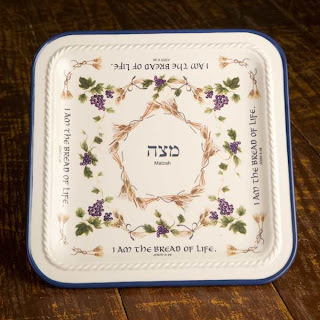 "This beautifully decorated ceramic Matzah Plate features Hebrew and English writing for Matzah and Jesus’ words “‘I am the bread of life.’” from John 6:48. The “I AM” Matzah Plate can be used to celebrate Passover or Communion with your family, friends and fellow believers."